All of the heavens and heaven belong to God. The earth belongs to God, and we belong to God. The thief, satan, tries to steal them from God and claim ownership. Yet God is the Maker and Owner of all things. Heaven is the Lord’s. The word “Heaven” comes from the Greek word “ouranos” (oo-ran-os). Thus, the Doctrine of Heaven is called Ouranology. What does heaven mean? The word heaven means “lofty” or “elevation.” Heaven is used in the Bible 551 times. It is used 313 times in the Old Testament, and 238 times in the New Testament. Consider that hell is mentioned only 54 times in the Bible. The Bible speaks of Heaven over 10 times more than it does hell. Hell was created for satan and his minions. Heaven is where God wants us all to end up! Let us rejoice in that fact. Be sure that you are saved from your sins, so that you can go to our Heavenly home some day! The word heavens (plural) appears an additional 127 times in our King James Bible (it, along with many other words and verses have been removed or changed in the other corrupt versions of the Bible). Thus, the total times heaven is mentioned is 678 times. 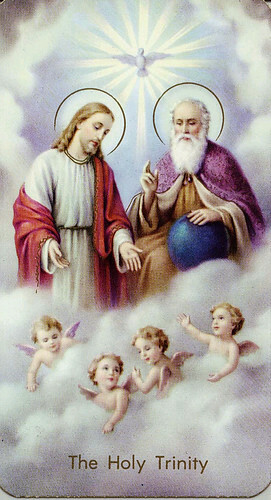 The whole Trinity was involved in the creation of Heaven. They spoke it into existence. Man cannot speak anything into existence, but God can. That is the power of His Word. God uses His Word to do His work! We should do the same! As time marches on here on earth, I find I’m keeping track of all those I’ve loved who are now in heaven–and I find great comfort in knowing heaven will be my home, too, when God says it’s time. Reblogged this on Your Dog Wouldn't Like It. Thank you – totally Jehovah God. You have helped me think of the next thing I’m going to write. Your heaven series got me thinking about a certain aspect of God. Say tuned! You have really done your homework, Anna. Excellent! Thank you. I am sharing the studies our preacher at our church teaches us on Wednesday nights. Totally Biblical based.